Make the switch & transfer your Asana projects into Zenkit in a couple of clicks! Whether you’re looking for a tool that can handle more complex projects, or simply think it would be cool to make mind maps that match your Kanban board, you may find yourself considering switching over to Zenkit. Luckily, we’ve made it really easy to transfer your existing projects from tools like Trello and Wunderlist into Zenkit. 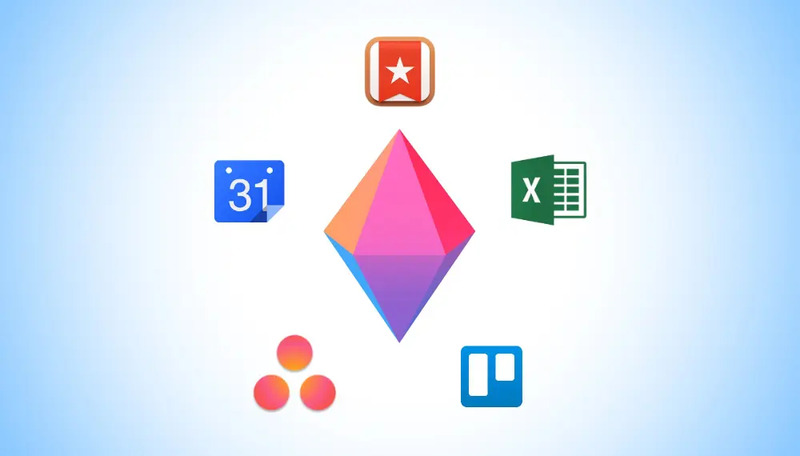 Today, we’re proud to announce that we’ve added Asana to our list of direct imports, which means that you can now quickly make the switch in just a couple of clicks! Choose ‘Import’ when creating a new collection. Choose Asana from the list and log in when prompted. Pick a project from the list and start working! When the import is complete, you’ll see a new collection on your homepage. The state of your Asana tasks (complete vs. not complete) will automatically be used in the ‘Task List’ add-on, and you will be able to view your Kanban lists by section, state, or any other tags you’ve created. The great thing about making the switch to Zenkit is that you can now seamlessly turn your lists into Kanban boards and back again without a hitch! 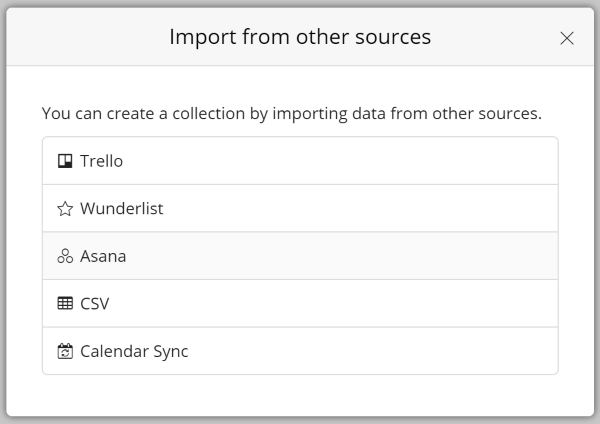 As always, you can learn more about Asana import in our Knowledge Base. For more information about out our other import options, check out the “Importing and Adding Data” section. The idea here is to put all date-related functions at the forefront, instead of hidden in sub-menus and context lists like it used to be. We hope you find this much cleaner and easier to use! There may still be some changes made to this input, but we’ll make sure to keep the “Date fields and reminders” documentation up to date. We also released a slew of bug fixes, iOS updates, and a few other bits and bobs to keep things running smoothly. We hope you enjoy the updates as much as we do! I have successfully imported an Asana project and want to recreate Asana’s “My Tasks” view. The view automatically sorts tasks by due date. There is a “Today” section (with tasks due today), followed by “Upcoming” which are tasks due in the next week-starting tomorrow-moving 7 day window. This is followed by “Later” tasks due beyond the next 7 days. I tried using filters and/or formulas and neither seem to get that format. Am I missing something, is there a way to sort a table or list view in that manner? I have a bunch of completed and incomplete tasks in Asana that aren’t assigned to a particular project but I can’t seem to find a way to import them to Zenkit. Is it possible to import tasks from Asana that aren’t assigned to a particular project?